Picadillo de platano verde reminds me of the hamburger mince gravy my dad made each week. A colourful, exotic Latin cousin perhaps, with its chunks of red pepper and golden plantain, spicy with cumin and paprika. I found it interesting that Worcestershire sauce turned up in most of the picadillo recipes I looked at. Moros y Cristianos is a Cuban dish of black beans (Moors) and white rice (Christians). In some versions, the rice and beans are cooked together – resulting in visually unappealing (though tasty) gray rice. I prefer to keep the rice and beans separate until the last moment to maintain the contrast of colours. 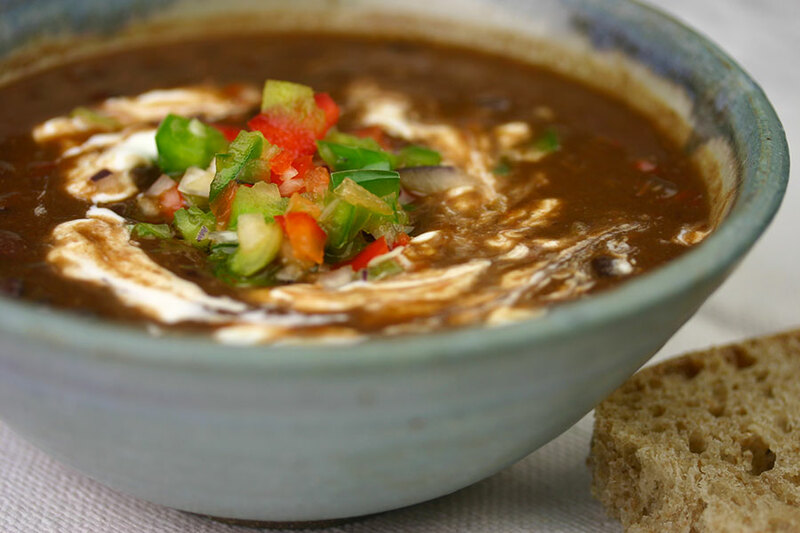 Traditional Cuban black bean soup is made with a ham hock, which is simmered along with the beans and removed before serving. I prefer this vegetarian version, adding smoked paprika to give the soup an element of the ham’s smokiness. Anyway, for me it’s the vinegar that gives Cuban black bean soup its distinctive flavour. This black bean salad has a bit of an identity crisis. Is it a salad? A salsa? A filling? 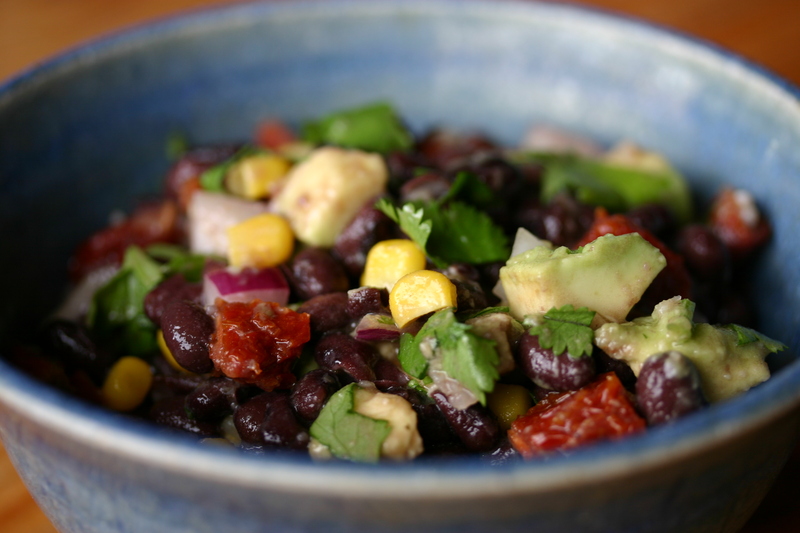 When I worked in central London, I’d regularly pack this black bean salad for my lunch. 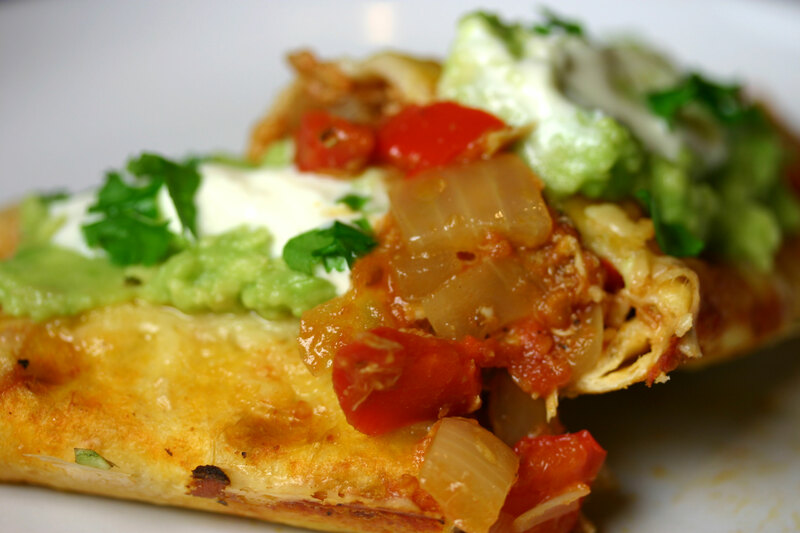 It travels well and the flavours improve over time. I’d eat it as it is, maybe with some crackers, or use it to fill a wrap. It’s also good mixed with an equal amount of cooked quinoa or other grain.